Due to its geographic isolation, Iceland possesses the purest of Scandinavian cultures. Even after 11 centuries, the modern Icelandic language is closer to the speech patterns of the Middle Ages than any living European language. Brought to Iceland during the 9th century by the Vikings (who invaded Britain during that same period), the language also influenced the development of modern English. 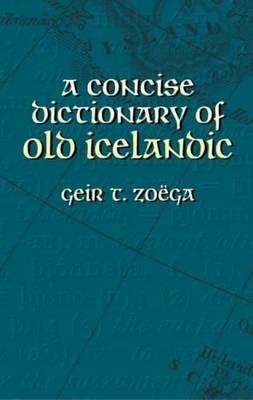 Thus, a knowledge of Icelandic language is highly relevant to the study of English and British history. This volume, reprinted from a rare edition, will be indispensable in the study of the prose and poetry of Old Icelandic literature, which is regarded by many scholars as unrivaled among the literatures of medieval Europe.